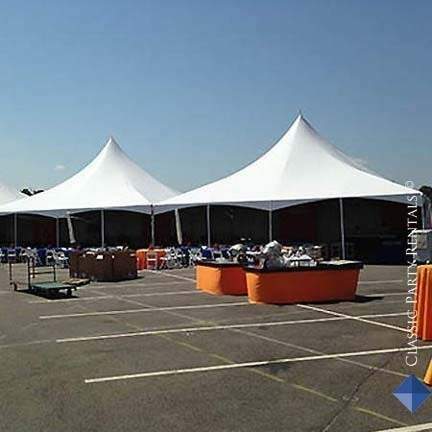 Dramatic peaks great for weddings, festivals, company picnics. Anywhere that staking is possible and surface is relatively level. No center poles. Expandable and versatile.